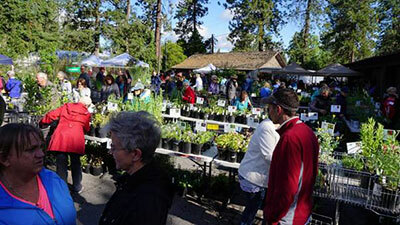 Don't miss the Fall Plant Sale in Manito Park, this Saturday, September 10. There will be thousands of plants and many priced at $5. Over 400 perennials are for sale. Located east of the Gaiser Conservatory, the sale runs from 8am to 3pm. The Friends of Manito members will receive a 10% discount on plant purchases. If you sign up for a new membership on or after the fall plant sale, it will be good through the end of 2017. For a complete listing of plants, and more information, visit www.thefriendsofmanito.org. 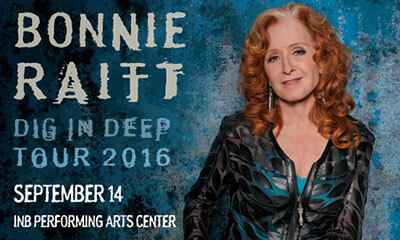 Correction: Rock n' Roll Hall of Famer and Grammy winner Bonnie Raitt is coming to the INB Performing Arts Center Wednesday, September 14 at 7:30pm, not on October 9, as previously reported. Ticketswest has your seats at www.ticketswest.com or 800-325-SEAT.